Women on a Mission: Mom Edition: WTF (WAY TOO FUN): MUR-MAN'S LAST DAY OF PRESCHOOL! WTF (WAY TOO FUN): MUR-MAN'S LAST DAY OF PRESCHOOL! Mur-Man and G had their final day of school together. 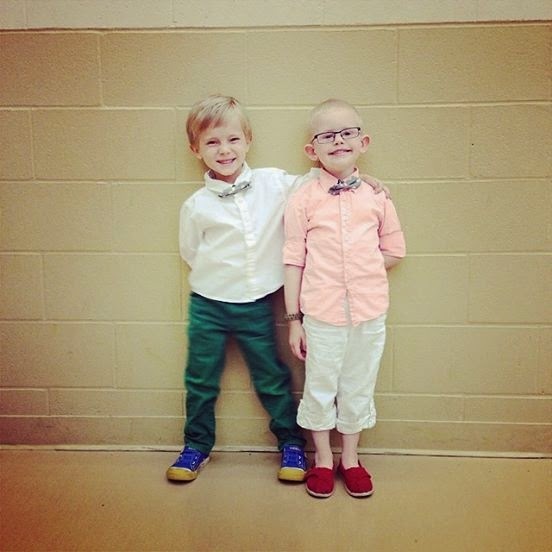 These boys are best buds (sporting matching ties). I promise to share more school photos later!